HALF A QUILO OF SARDINES. First stop: the fish market. Feel like a real ship’s captain in this outfit by boboli. 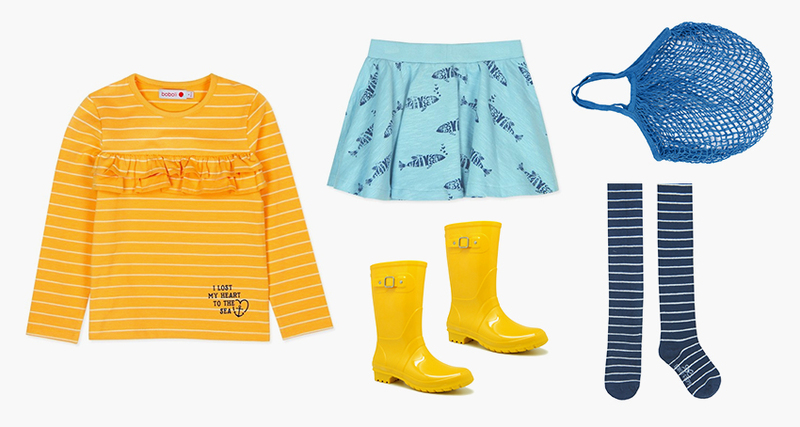 You’ve got to have stripes, fish prints and sea-themed accessories. Set sail toward new adventures! Girl’s T-shirt in mustard yellow with ruffled detail and fish print skirt by boboli, yellow rain boots, reusable string bag and striped tights. An urban look that is also perfect for fall. This outfit by boboli for kids mixes neutral tones like brown and black with greenish details. ¿Shitake o porcini? 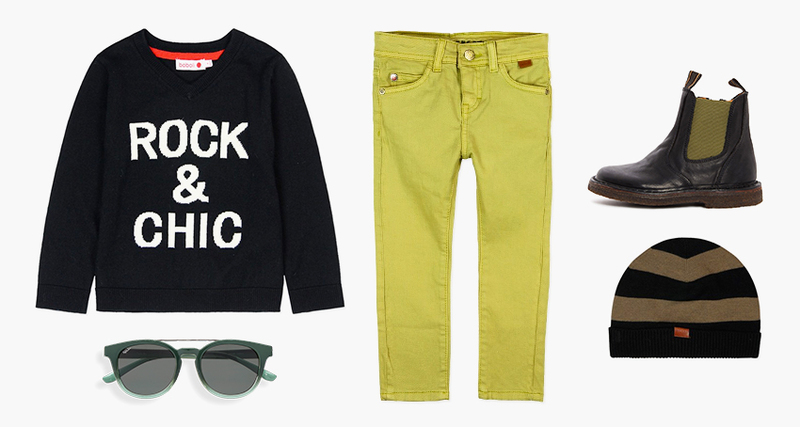 Print sweater, green trousers and striped cap by boboli, green sunglasses and Chelsea boots with colored details. A BOUQUET OF FLOWERS, PLEASE. 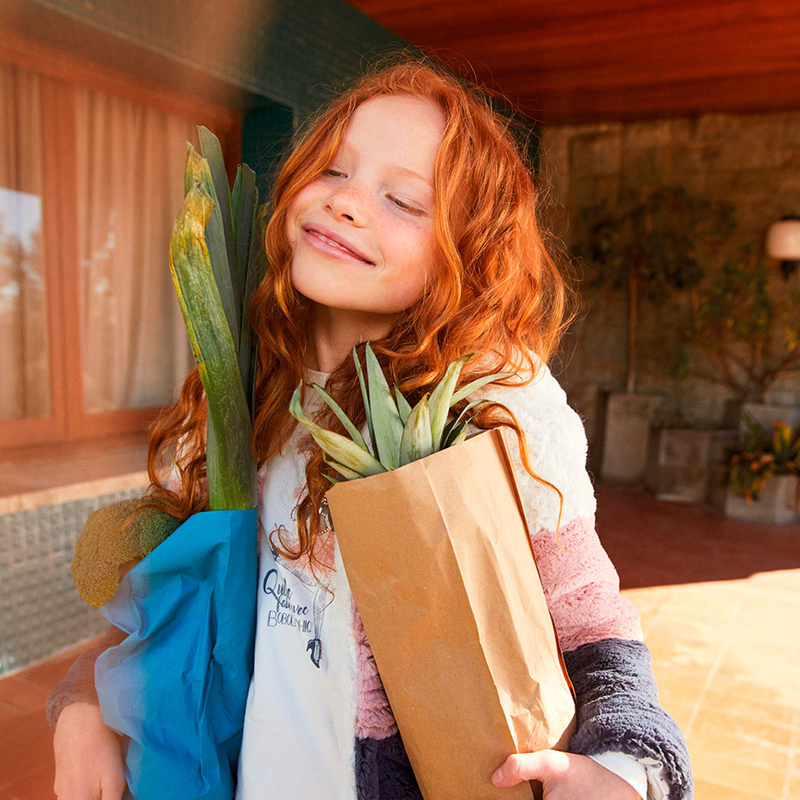 Next stop, the florist. Having a full fridge is great, but so is having a beautiful house. If you like flowers, you’ll love this oufit for girls. 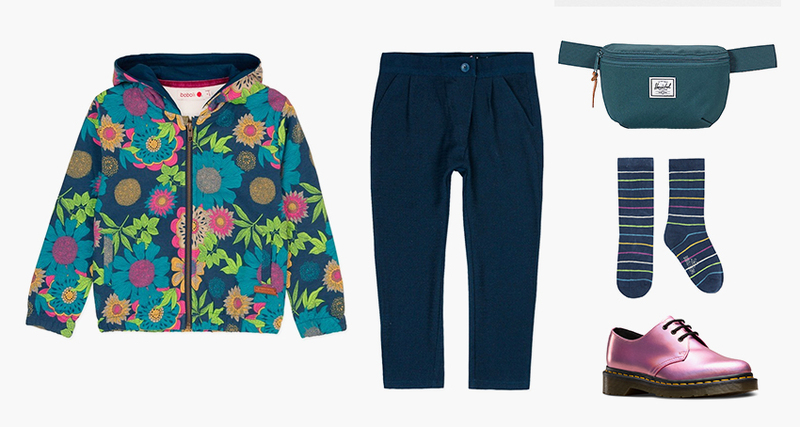 Floral patterned jacket and navy blue trousers by boboli, green fanny pack, multicolored striped boboli socks and metallic shoes. A path from the Cantabrian to the Mediterranean Sea. Our local ingredients deserve a tribute, and this look by boboli is dedicated to them. Which do you like best: codfish or olives? 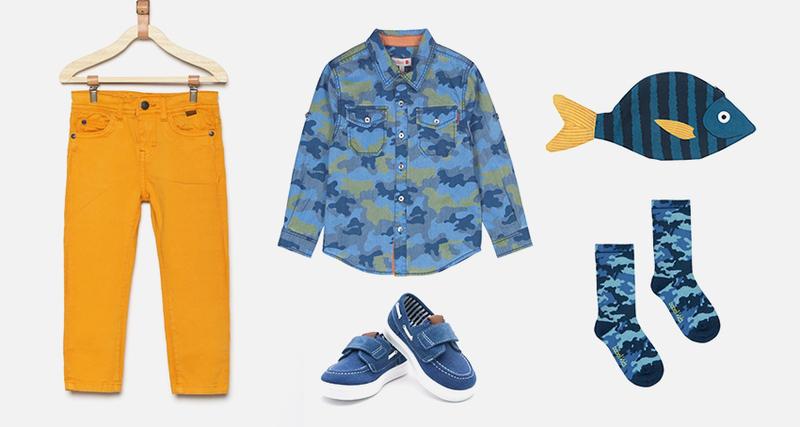 Mustard yellow skinny jeans and camouflage print shirt by boboli, canvas boat shoes, fish-shaped coin purse and boboli striped socks. A PAUSE FOR SOMETHING SWEET. Our shopping outing ends at the bakery. Let’s round out the morning with something sweet! It’s been a great day with the family. Let’s celebrate with cupcakes! 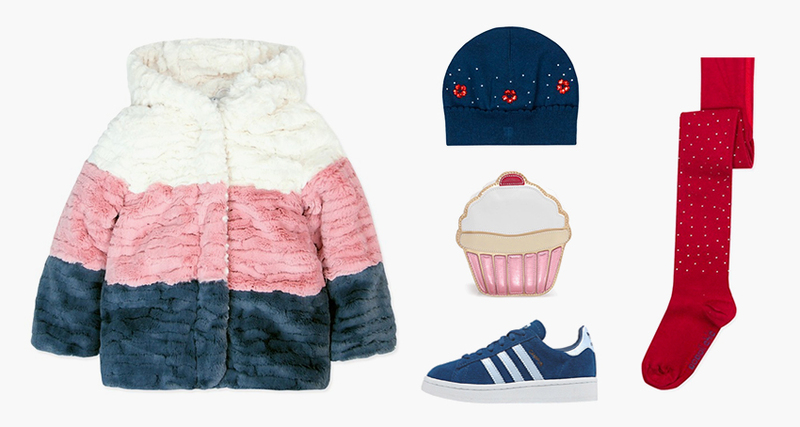 Soft fuzzy jacket, hat with flowers, and sparkle tights by boboli, cupcake-shaped coin purse and matching blue sneakers.